Michael Phelps added one more honor to his staggering list of accomplishments Thursday, being voted The Associated Press male athlete of the year in a poll by U.S. editors and broadcasters. Phelps edged out basketball player LeBron James to win the award for the second time, not only a fitting payoff for another brilliant Olympics (four gold medals and two silvers in swimming at the London Games) but recognition for one of the greatest careers in any sport. Phelps finished with 40 votes in balloting, while James was next with 37. Track star Usain Bolt, who won three gold medals in London, was third with 23. 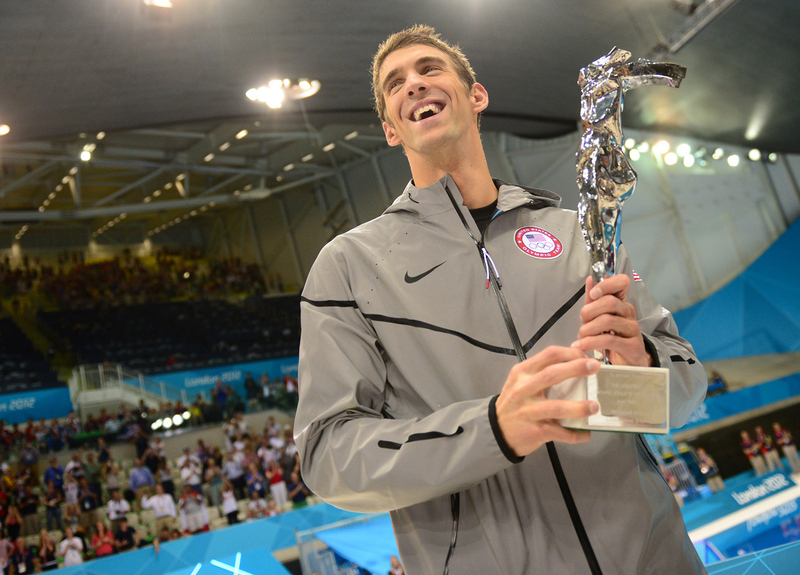 While swimming is unlikely to ever match the appeal of football or baseball, it has carved out a nice little niche for itself amid all the other athletic options in the United States - largely due to Phelps' amazing accomplishments and aw-shucks appeal. To everyone looking in, Lochte seemed poised to become the new Phelps - while the real Phelps appeared all washed up.